Per Ann Arbor’s Municipal Water Treatment Plant, “The City of Ann Arbor was tested in mid-July 2018 as part of the MDEQ’s statewide initiative to test all public water supplies and schools with their own wells. Both the finished water and the intake for the supply were sampled. The results were available mid-August, and finished water results were 4 ppt PFOS and PFOA; intake results were 11 ppt PFOS and PFOA.” (Results of testing here). The city’s water treatment plant supplies roughly 125,000 customers in the city and surrounding areas in Scio and Ann Arbor townships. PFAS has been detected in both its source water coming from Barton Pond on the Huron River and in finished drinking water. Ann Arbor’s water tests below the U.S. Environmental Protection Agency's lifetime exposure health advisory level of 70 ppt set in 2016. Conflicts over what constitutes a “safe” or “actionable” level exist at both state and federal levels, and both state and national regulatory agencies are mulling lowering the tolerance levels to less than 12ppt based on the latest understanding of bio-accumulative risk to vulnerable populations, including infants and breastfeeding mothers. PFOS and PFOA (and similar chemicals) are known to damage human health, causing behavioral, hormonal, and reproductive harm. They are referred to as “forever chemicals,” because they persist in the environment with no known endpoint. The chemicals are widely used in manufacturing and present in consumer products. The city will also be adding UV equipment to treat potential cryptosporidium contamination. Cryptosporidium can survive chlorination of drinking water, and it causes intestinal illnesses. In addition, replacement of galvanized water service lines on private properties in Ann Arbor may be necessary to comply with the latest changes to the Lead Copper Rule, if those lines were previously connected to lead components in the city's system. 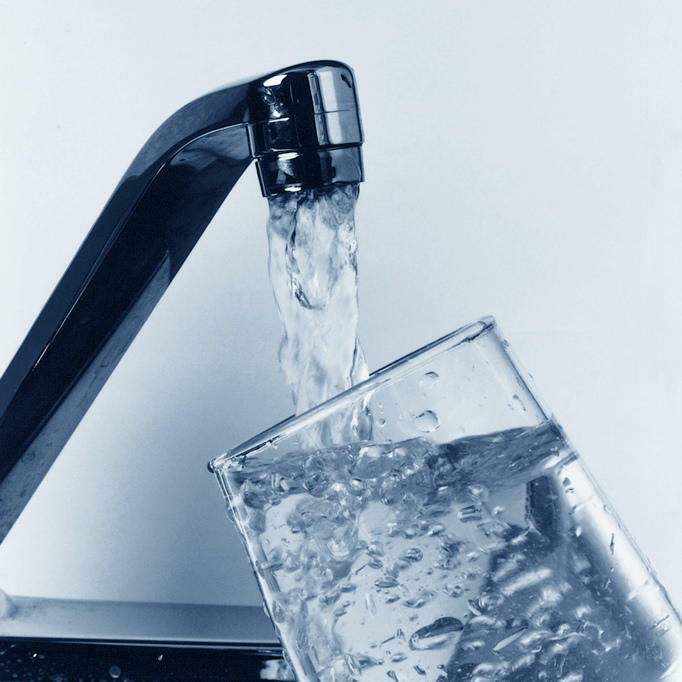 Brian Stieglitz, Ann Arbor's water treatment plant manager, says that while the level of PFAS detected in the sources of the city’s drinking water is concerning, the city is ahead of the curve in detecting and treating for contaminants, including PFOS and PFOA. The city initially began testing water for these chemicals in 2014, and the highest level of PFOS and PFOA was detected at that time (43 ppt). The water was next tested in March 2016, and monthly testing began in October 2016. In November 2017, the city piloted the use of GAC filters, and Brian says that the filters have lowered levels of PFAS by about half. According to mLive, “The average level of those two chemicals was 7.2 ppt in 2017, and 3.2 in 2018 from January through August.” Brian says the city is participating in ongoing research into the best methods for removing PFOS and PFOA and similar chemicals from drinking water.